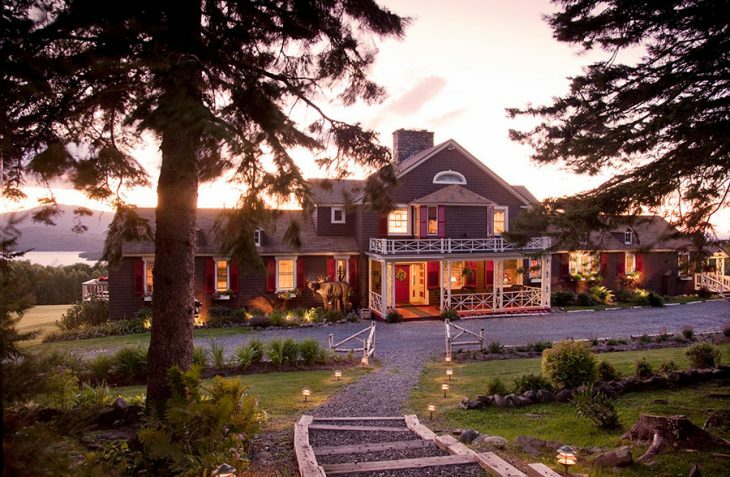 Our top rated Maine B&B is a 5 Diamond gem on Moosehead Lake, and 2017 marks the 100th Anniversary of the Lodge. We are not the only ones to think we have one of the best locations and offer guests the ultimate in privacy, luxury, history, and first-class hospitality. 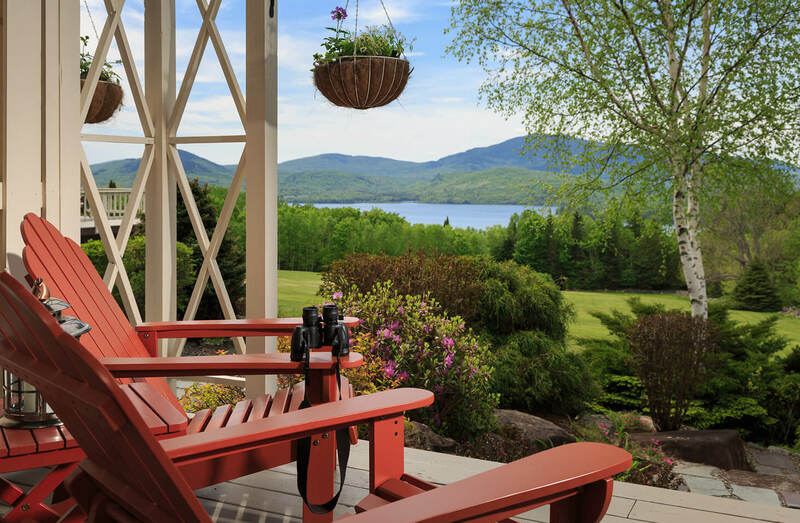 Browse our press room for the latest news about The Lodge at Moosehead Lake. 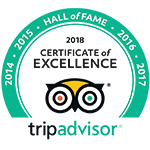 We are honored to receive the Certificate of Excellence – Hall of Fame award from TripAdvisor. This award is given to accommodations that received the Certificate of Excellence five years in a row from 2014 to 2018. 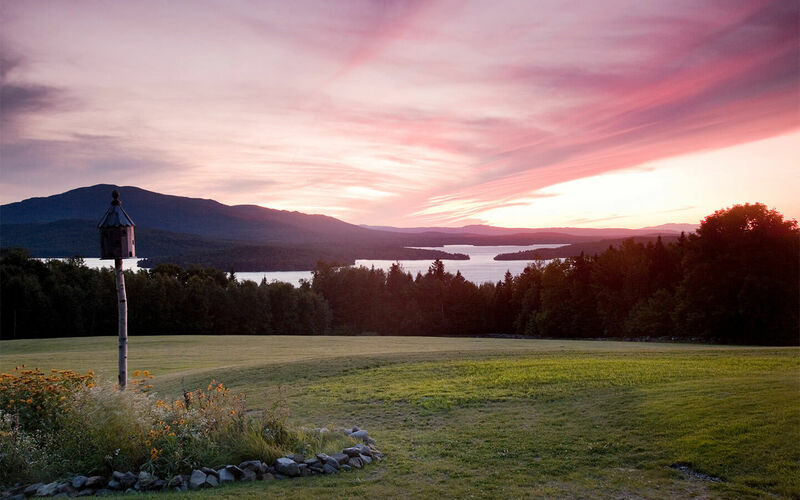 Nestled on the banks of Maine’s largest lake, The Lodge at Moosehead Lake is open year-round and the perfect destination for outdoor lovers. 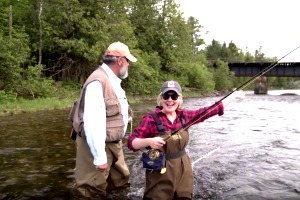 Book the “Moose Room” for some real Maine flavor. 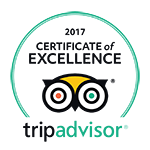 We are proud to have been awarded a Certificate of Excellence from TripAdvisor for the seventh straight year. TripAdvisor gives a Certificate of Excellence to accommodations that consistently earn great reviews from travelers. Houzz is a platform for home remodeling and design. We are proud that photos of our new Innkeepers Quarters at our Moosehead Maine bed and breakfast are featured as inspiration for others. The Lodge at Moosehead Lake is the perfect place to celebrate a special occasion or to pop the big question or to have your dream wedding at Moosehead Lake. It’s a snap to ignite your room’s gas fireplace and only a bit more work to assemble melty s’mores with Ghirardelli chocolate, homemade graham crackers, and Maine-made vanilla or maple marshmallows toasted over the living room’s wood fire. Our stay at The Lodge at Moosehead Lake was phenomenal – the innkeepers were so warm and welcoming, the views were breathtaking, the rustic-chic room exceeded every last creature comfort desire, and the campfire dinner with lobster, steak, and gourmet s’mores was the ultimate feast! 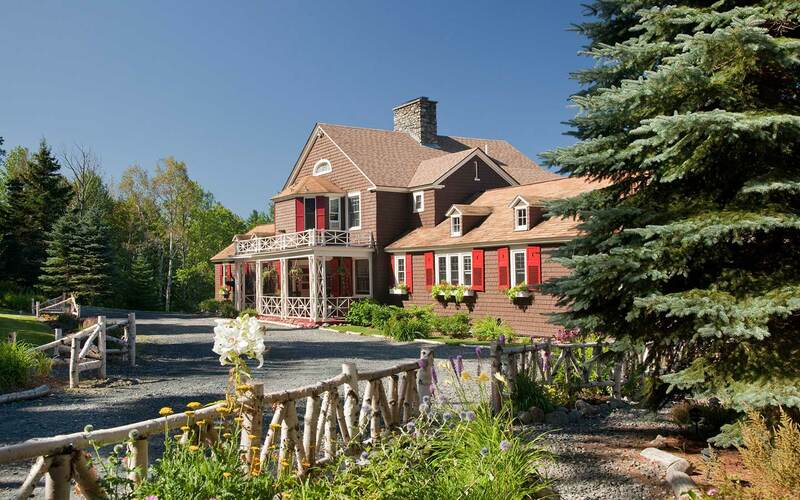 This historic bed and breakfast has been a favorite destination for travelers for around a hundred and thirty years, and offers everything one can ask for in a fall foliage vacation. Each room has a different rustic flair, and some even have different themes based on local wildlife. 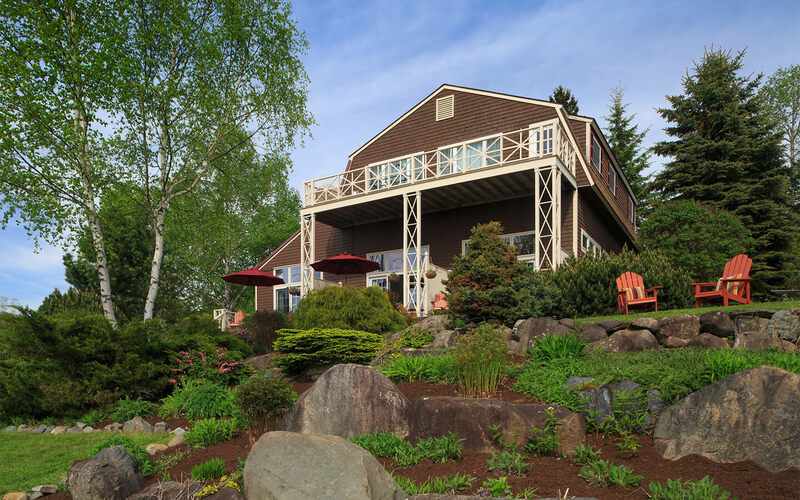 Tucked in the North woods of Greenville, Maine and perched high atop Blair Hill, this stately Cape Cod home turned country inn offers guests the ultimate in privacy, luxury, history, and first-class hospitality with unobstructed views of the surrounding mountains hemming in Moosehead Lake. When you elope at The Lodge at Moosehead Lake, all you have to do is bring your Maine wedding license and your wedding rings and the lodge takes care of the rest!